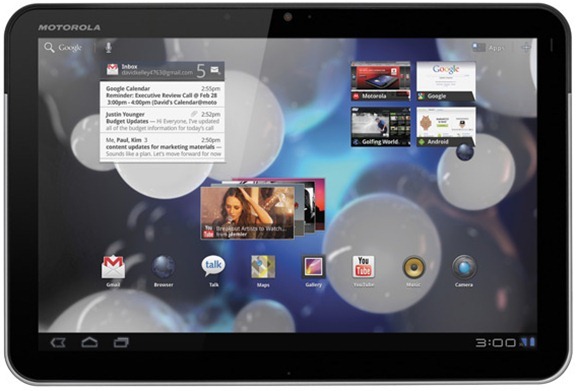 Remember that soak test for the Motorola XOOM WiFi that we told you was on the way? It’s pushing to devices this evening and is more than likely Jelly Bean (Android 4.1). Assuming the test goes off without a hitch, it shouldn’t be long before it rolls out to everyone with this WiFi version of the world’s first Honeycomb tablet. Thanks for signing up for the Motorola U.S. Wi-Fi Xoom software test. We had a very enthusiastic response to our call for participation, so we expect a good turnout. The software should be pushed to your phone later today. Please post all your feedback in our private community (link below). This also where you’ll find help during the soak. Please do not call or contact Motorola support for help during the soak. The team there is not yet ready to support this software. I’m not able to check private messages on the forums during soaks, so if you need immediate help that’s not a good route to take. Please do not reply to this email. Post your questions and feedback to our private community. If you have any problems accessing the private community, please click here for help. Thanks so much for your participation! We really appreciate your time and insights. We’ll start the push soon so please start your visit to the private community here. You’ll find additional important information in the Welcome message as soon as you sign in. For those of you with the 4G LTE variant of the XOOM from Verizon, sit back and relax, it’s going to be a while. The Ice Cream Sandwich update for that version is still wet, so don’t expect to see Android 4.1 any time soon.